The 24H Le Mans Winners Opus Collection Derek Bell Edition celebrates the nostalgia and romance of the most successful motor racing power house in 24H Le Mans history. 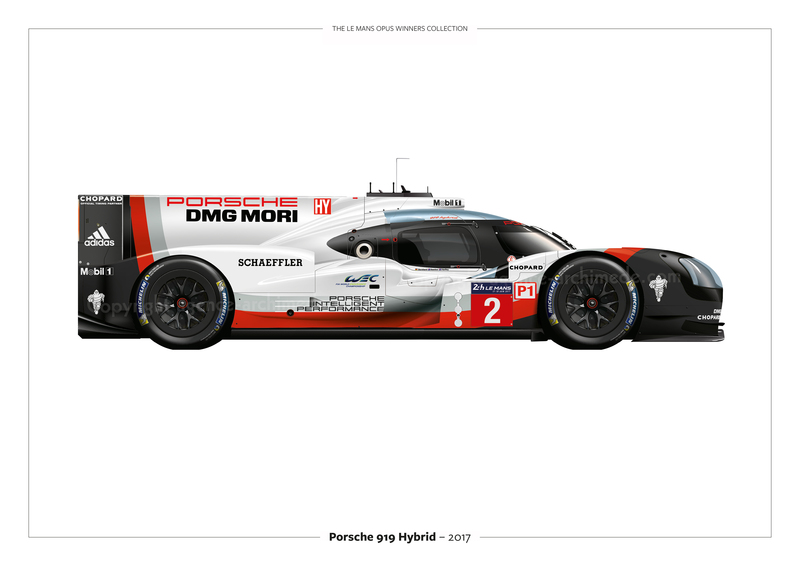 Opus has created a collection of luxurious limited edition individual art prints that feature detailed illustrations of the 19 winning Porsche cars. 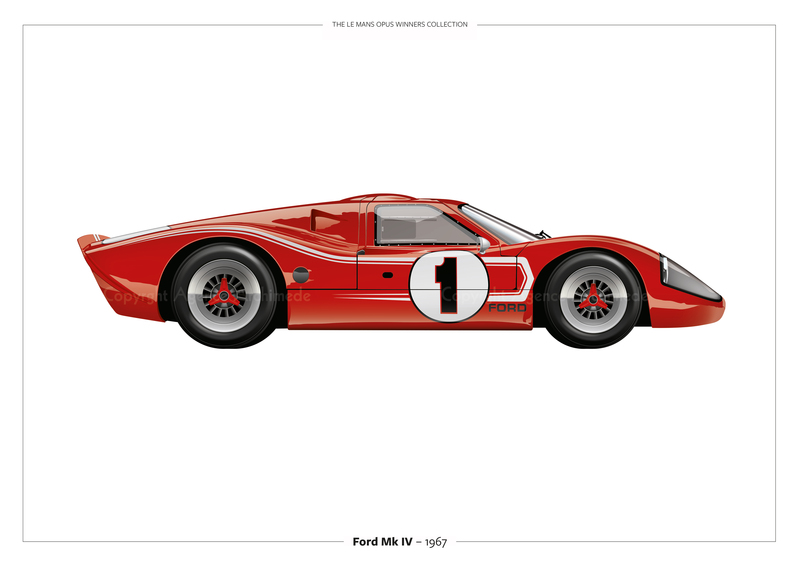 The magnum sized prints measure 61 cm x 42.5cm, printed on a heavy weight 350gsm silk paper and housed in a cloth covered clamshell case. 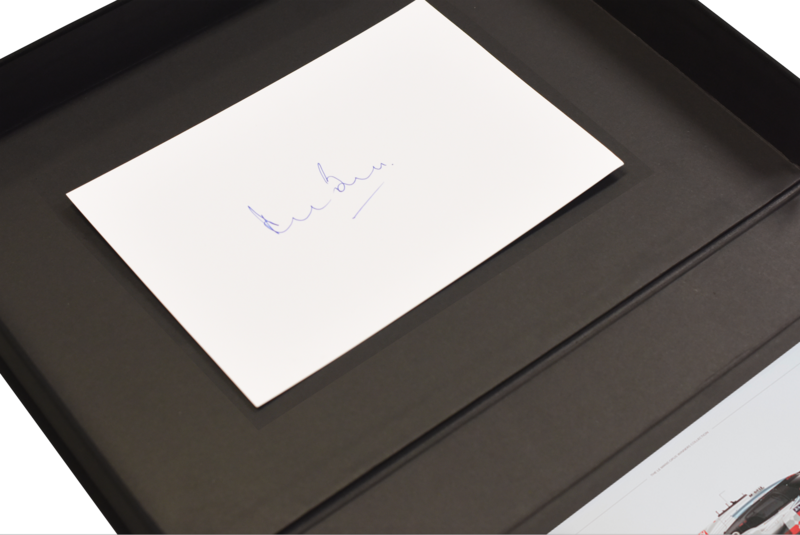 The cover on the box features a metal name plate that can be made bespoke by engraving the owners name or including a message to a loved one. Positioned inside the lid is a card personally signed by Derek Bell, the Le Mans Hall of Fame legend. 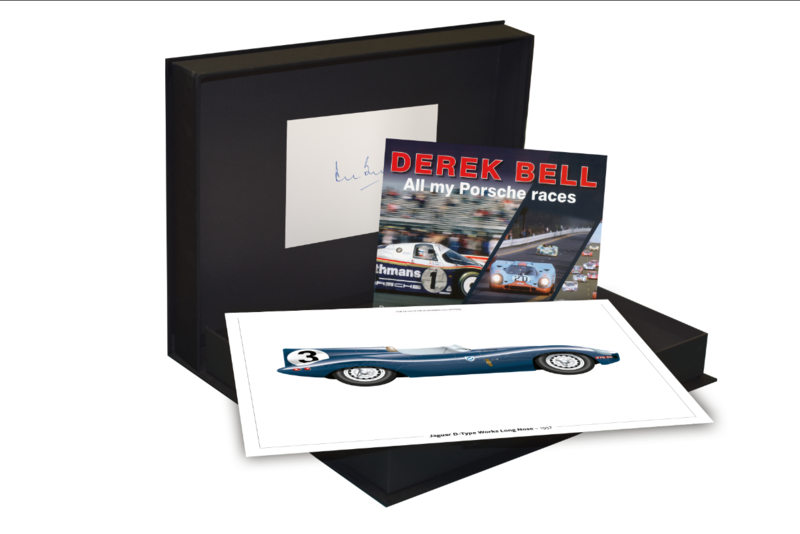 Last but not least the edition includes a copy of Derek Bell’s insightful book All my Porsche races. 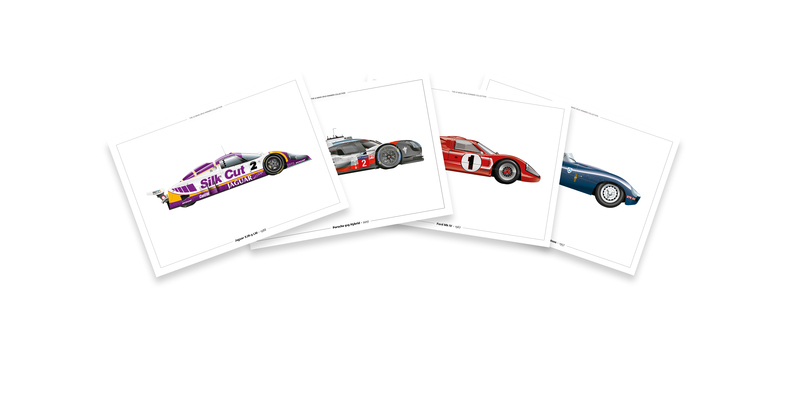 This stunning collection of 85 art prints contains all 85 Le Mans winning cars including the iconic cars such as Bentley Blower, Jaguar C & D Types, numerous stunning Ferrari sports cars, iconic Ford GT 40 and naturally all the Audi’s and every winning car from the most successful manufacturer of 24h Le Mans, Porsche. 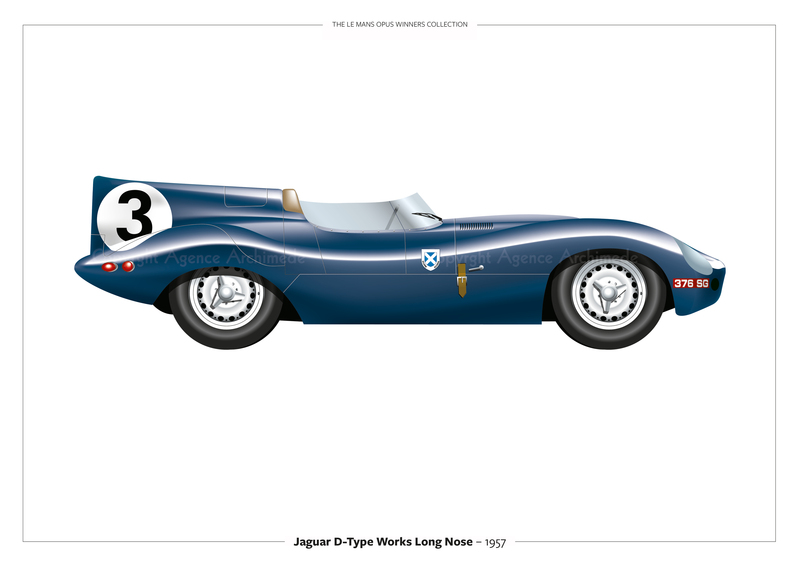 The intricate detail captured in each drawing brings to life the spirit and endeavour of the racing teams from every era in the race history. 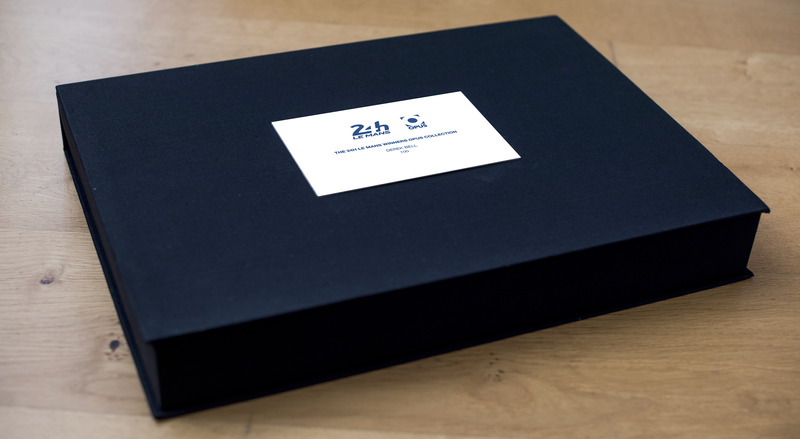 Printed in England the art prints are individually showcased on a luxurious heavy-weight 300gsm silk paper, measuring 42cm (16 inches) x 21cm (8 inches), all encased in a hand-made presentation case. The detail of each print can only be described as stunning. 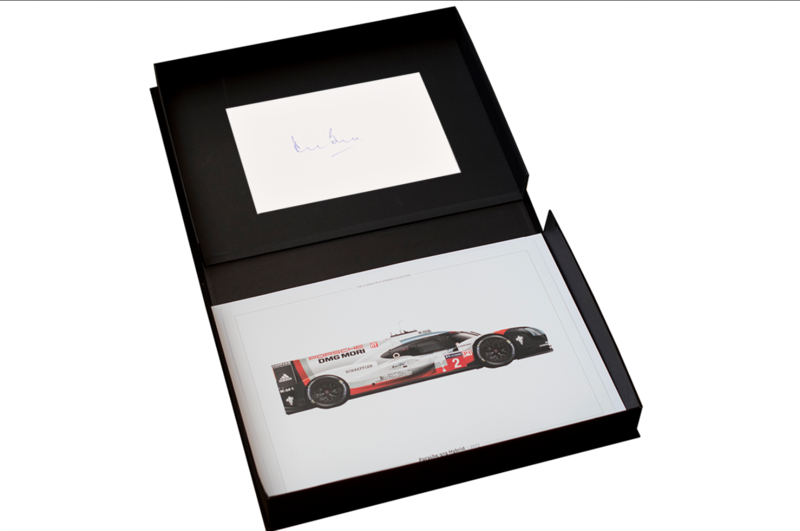 Inside the lid of the presentation case is a mounted and signed signature card of the five times winner on the 24h Le Mans and Hall of Famer, Derek Bell. 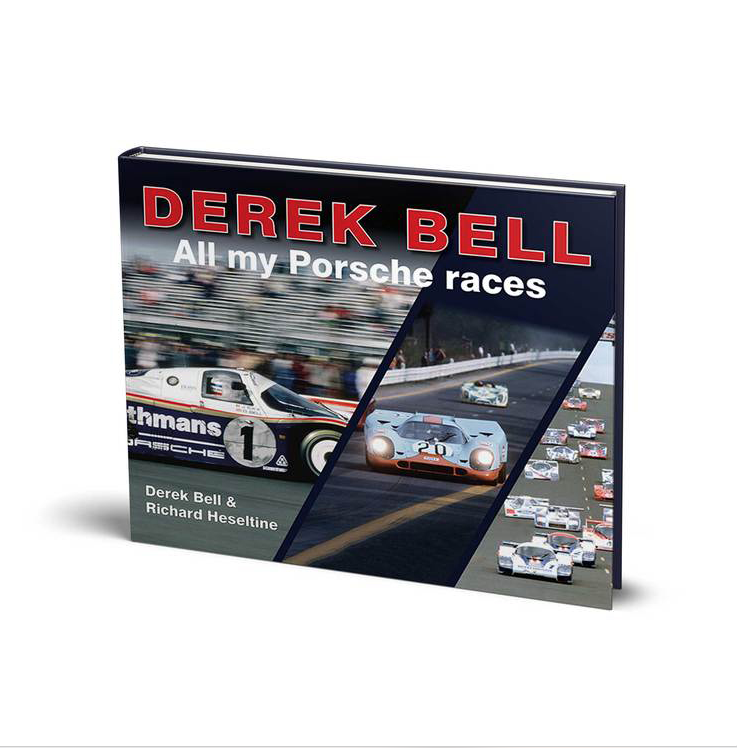 Included in the 24H Le Mans Winning Porsche Cars collection is Derek Bell’s latest book, ‘All my Porsche races’. Over the course of his long and hugely successful career, Derek Bell’s name became inextricably linked to Porsche among countless other victories the british ace won the Le Mans 24H four times for the legendary German marque. 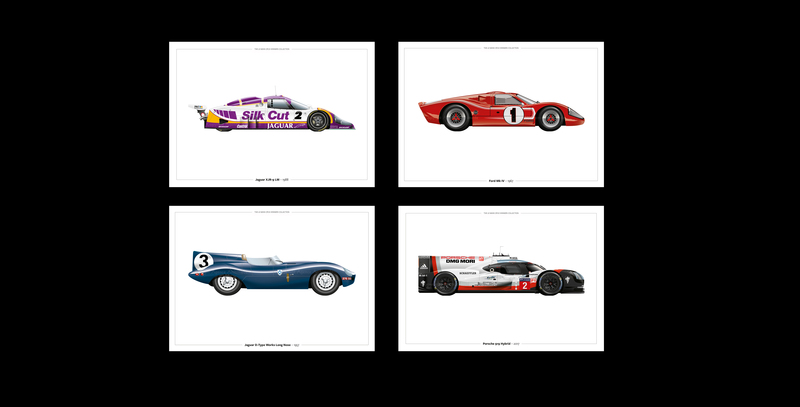 A 276 page book (28cm x 24cm) with over 200 photos illustrate Bell’s Porsche racing history offering a fascinating – and very personal – insight into a golden era for the marque and for sports car racing in general.